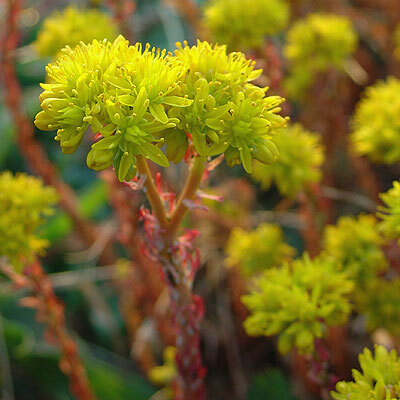 Reflexed Stonecrop is a creeping perennial with bright yellow flowers which grow in clusters on the tips of succulent bluish-green stems and leaves. It prefers dry, bare habitats and grows on rocks and walls, particularly on old walls, and flowers between June and August. It is an excellent nectar plant and its main associated pollinator is the Yellow Ringed Carpet Moth.